At the Yuba City Dentistry Group, we’ve seen firsthand the benefit of using dental implants to replace severely damaged or missing teeth. In order to take advantage of this advanced dental procedure, however, your jaw needs a certain amount of bone to hold the implant in place. Unfortunately, immediately after losing a tooth your jawbone begins to atrophy, in a process known as resorption. Additionally, the longer a tooth has been missing, the greater the chance that there is insufficient bone mass to support an implant. Further, the loss of multiple teeth increases the chances of significant bone loss in the jaw area. 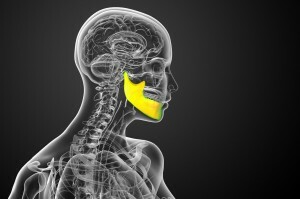 If you would benefit from an implant but don’t have enough bone to support it, what can you do? Here is where onlay bone grafts can help. In short, onlay grafts are needed to add bulk to a jawbone that has significantly deteriorated due to longtime tooth loss or disease. The process involves taking a chunk of bone from another part of your body and laying it over a jawbone depression. Several different procedures are available when it comes to bone grafting; your dentist will choose the one that fits your situation best. Once the procedure is complete, it is typical to wait four to nine months for complete healing before placing implants. Where Do We Find the Bone? In most cases, your dentist will prefer to use the your own bone to provide onlay graft material. He or she may take bone from your chin, ramus (back section of the jaw), or hip bone. In a routine and simple procedure, your dentist removes a small amount of bone from one of these areas and transfers it to the jaw. Special screws may be used to temporarily hold the bone in place. After healing is complete, the implants are installed. At the Yuba City Dentistry Group, we are committed to providing you the most effective treatment, with as little discomfort as possible. If you have suffered tooth loss, your dentist will present the all the available options, and work together with you in choosing the best one for your long-term oral health.